Should we run or stand by? I saw a remarkable sight a few weeks ago while we were on vacation in the mountains. While sitting on the porch eating dinner one evening, I noticed a deer eating at an apple tree across the way. My family and I watched the doe as she ate. It was a nice, quiet evening, and she seemed to be as relaxed as us. A cousin of mine was spending that same week up there mowing grass, and as we watched the deer eating under his apple tree, we could hear his tractor coming up the rocky road toward his house. I watched to see how quickly the doe ran away, but as I watched, I saw an illustration instead. As my cousin’s tractor got near to his house, the doe simply watched him and kept chewing. He and his tractor were less than 50 ft. from her. She was slightly more alert, but was certainly not sprinting away. He stopped, left his tractor running, went inside and grabbed a jacket, and drove off to do more mowing. All the while, the doe simply watched. Later that evening, I told him how amazed I was that this happened. He said it happens all the time. As he mows, he sees all kinds of wildlife. They have become so used to him that as long as his tractor is running, they don’t move, but if he turns the tractor off they bolt. This made me think of how easily we can become so used to dangers around us that in their presence we continue to feel safe. My cousin, if he were so inclined, could easily take a rifle with him and shoot himself a deer while he’s on the tractor, knowing they wouldn’t run. The same could happen to us. Just because most movies and television shows have inappropriate sexual scenes in them, and we can become used to them, doesn’t mean they aren’t dangerous to us spiritually. Finding ourselves becoming comfortable in company that is putting pleasure first may not seem very dangerous, but without a doubt we will find ourselves putting pleasure first after a while. Decorating our homes with trinkets from other religions just because they’re pretty, might seem harmless, but they invite the enemy to become comfortable in our homes. There are so many examples I could use. The point is that we cannot allow ourselves to become so used to sin and danger around us that we simply stand by and watch it become the norm in our lives. We must remember that sin is dangerous and when it comes driving up that rocky road toward us, we must bolt. Just being used to sin doesn’t make it safe. At some point, we will fall. At any time, the enemy can take out his rifle and fire a shot that proves it’s too late to run. We must be on guard, and even in the presence of dangerous things that seem unthreatening, we must continue to flee and walk blamelessly on our way. This verse is talking about what will happen when you bind the commands of the father and the law of the mother on your heart, and tie them around your neck. If you can bind the Father’s commands on your heart, and remember the truth you’ve been taught about Him over the years, then you won’t have to search for answers to every question. Yesterday I watched an interview of someone who was searching for the answer to a question she was asking. She said, “We prayed about it. We weren’t sure if it was right.” I feel certain she knew the answer before she prayed, because the question was about murder. Having bound God’s commands on my heart, I know the answer from God would be no. I feel certain she did, too; however, she went ahead and decided to do it, saying that they got comfortable with the idea after being around others who knew more about it. When we need answers to our questions, other people are not the place to find them. The Lord’s Word will lead us, keep us, and speak to us. His Word has not changed. He is the same yesterday, today, and forever. He is still as faithful to take care of us as He has ever been. When we choose to trust Him enough to follow His commands…no matter what anyone else chooses…then we are allowing Him to prove Himself faithful, strong, and true in our lives. He IS our Provider, our Shelter, our Deliverer, and our Savior, and He always will be. He will take care of us. We must not forget what we’ve learned, and we must keep learning day by day. God is our Guide and our Answer! We don’t read the Word of God because we want to impress the preacher. God doesn’t urge us to read so that we are burdened with 1 more thing to do each day. Having the most elegant Bible study isn’t the point. The Word of God makes us wise, coverts our souls, rejoices our heart, enlightens our eyes, gives us strength, increases our hope, and fertilizes our hearts for the Lord to bring forth fruit in its season. Certainly we are warned in the Word, and encouraged to keep from things like standing in the path of sinners and sin; but more than that we are rewarded daily by the Word of God. * His Word is life, and it is strength to our bones. He will satisfy in drought, shield us from fear, and light our paths each day. *For your reward and strength, see the Word of God. This Proverb is actually the one that spoke to me on Saturday, but I was unable to get to a computer that day. However, this morning I cannot pass it up to move on to another. These men gave up their plans, their businesses, and their comforts of home to follow Jesus. What a lovely example of sacrifice they set for us. Truly they made themselves poor, but as we know, they were far richer in following Jesus than they had ever been before they knew and served Him. Making ourselves rich is not always the most profitable. Having possessions does not always mean we have the most. We’re so busy trying to catch up on our sleep and get things done that the Word of God sits neglected on the shelf. (I’m sure a devotional email will come through during the day. I will slow down then to read it.) Slowly, but surely, our spirit is undervalued and decay begins. We cannot see the neglect caused to our spirits with physical eyes, the way we can see the deterioration of a house or a pet; however, the decline is still very real. Following Jesus may me we have less earthly wealth or possessions. Serving Jesus may mean we have to abandon relationships that stand between us and Him. Serving Him may mean we have to change our own plans in order to do His will. 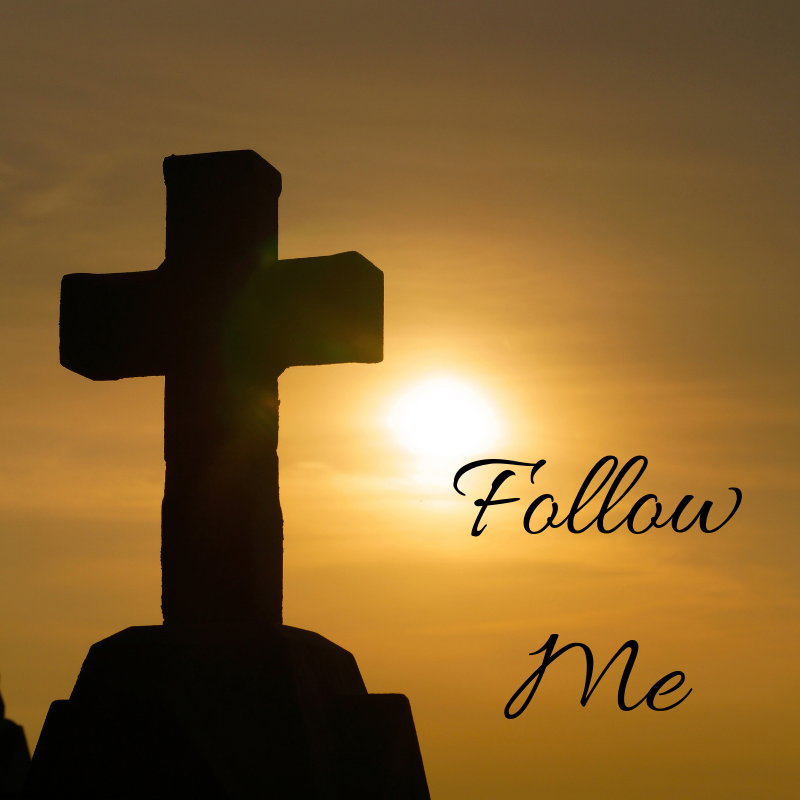 Following Jesus; however, will make us far richer in the things that truly matter. We cannot undervalue our spiritual health and expect to become richer in Him. We must invest in ourselves and our relationship with the One who matters most of all. Riches will follow.